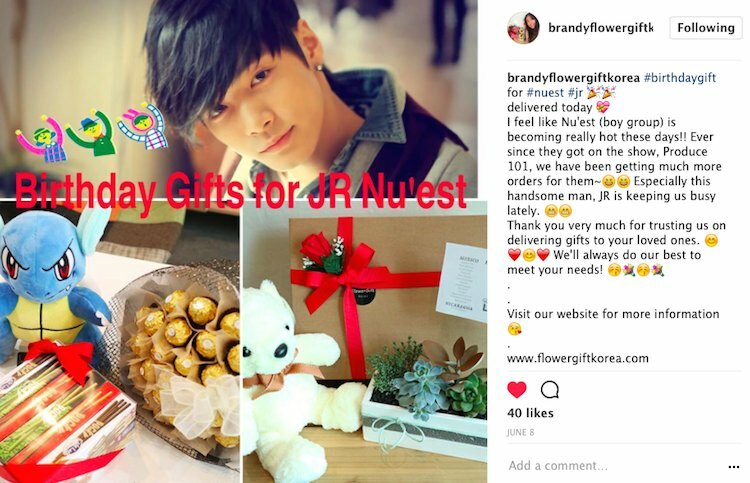 We had the pleasure of delivering a bunch of different gifts to JR from NU’EST for his birthday. NU’EST is a Korean pop group from the company, Pledis Entertainment. They have fans from all over the world and each of the group members were contestants on the show, Produce 101 Season 2. The photo above shows what was in the bag. 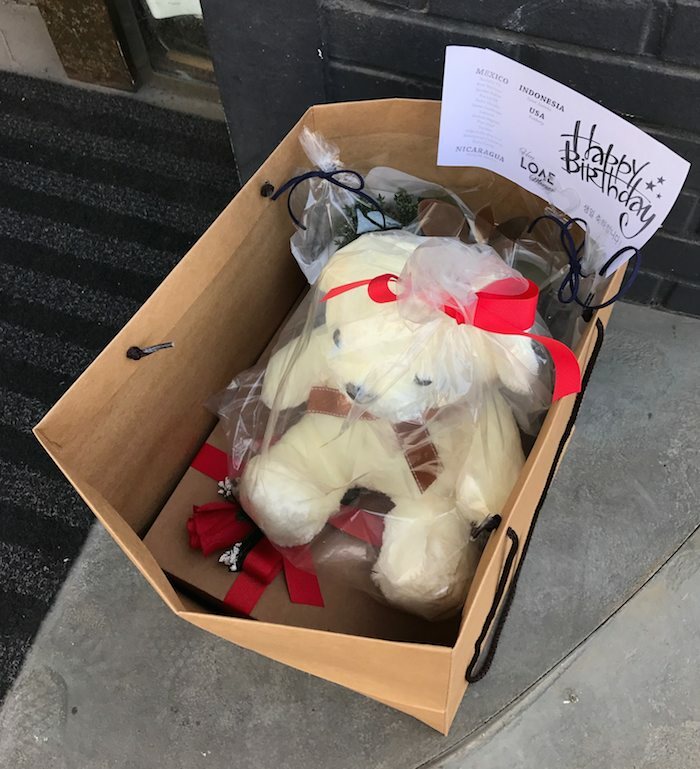 Unfortunately, it was not possible for us to take out all of the gifts from the gift bag and set them up nicely for a photograph, since staff members go in and out of these buildings. If you want a really nice photograph in front of an agency, it is best to order a Flower Basket. You can see blog posts to other Korean celebrities to get a better idea. 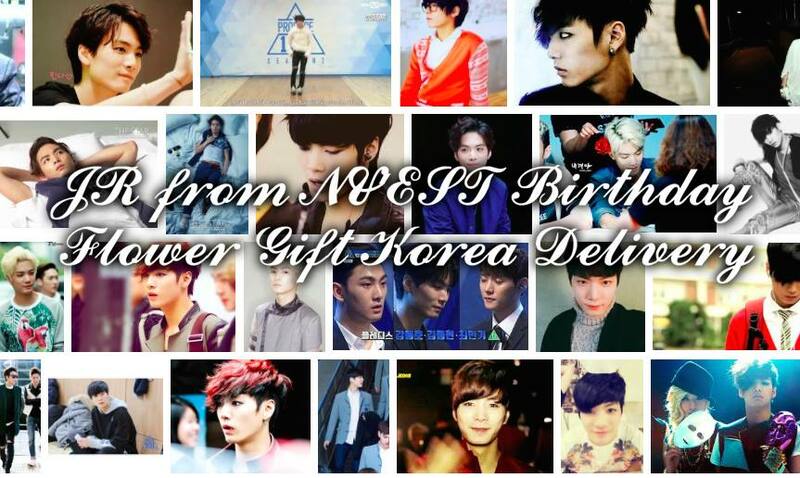 It was a lot of fun putting these gifts together for JR from NU’EST. 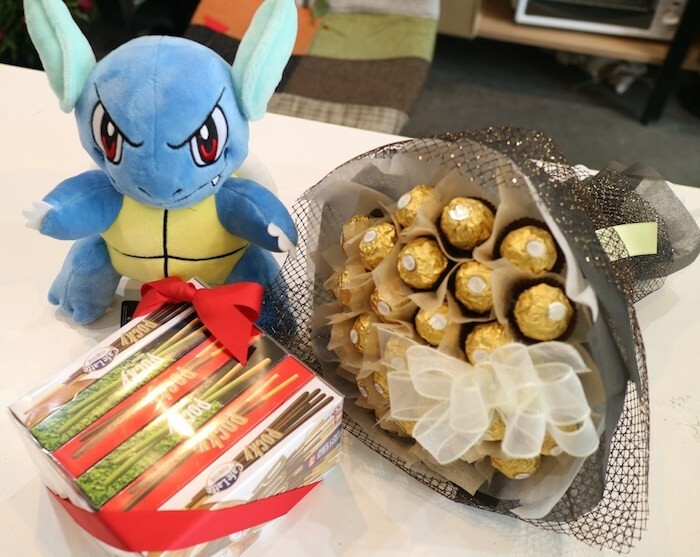 Unfortunately, JR did not personally receive the gifts from out delivery person, but the gifts were given to a staff member to give to JR. Actually, there were already other gifts in the front room for JR when our delivery person arrived. 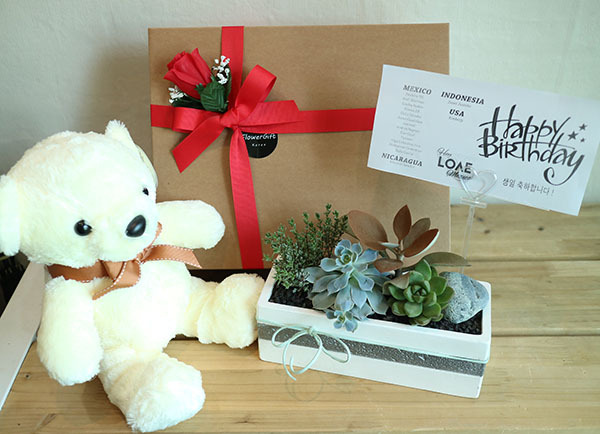 Thank you to the fans of JR for ordering through Flower Gift Korea. It was fun putting these gifts together for JR. And I’m sure JR was very thankful to have received this gifts from fans all over the world. 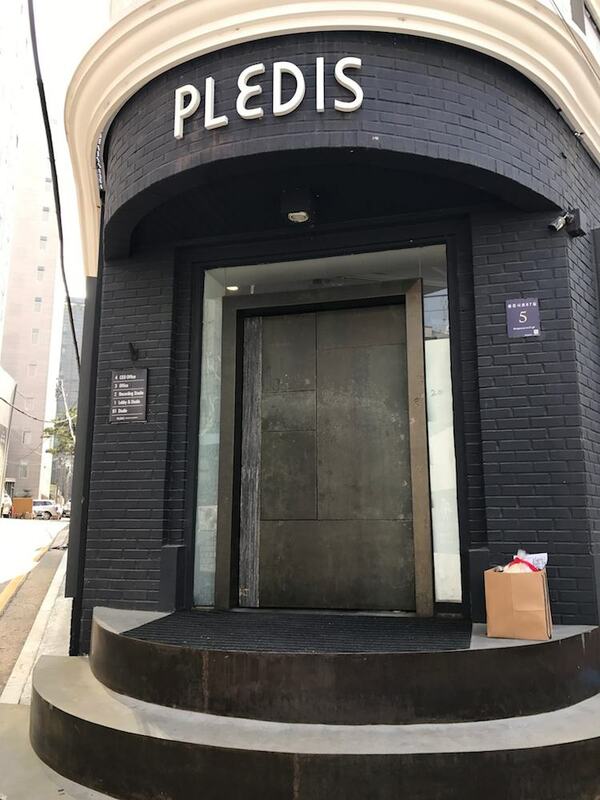 If you want to send gifts to JR or to any artist at Pledis (and other agencies), feel free to contact us for more information.